It comes as no surprise that pets are great companions, but did you know that pets can also have a positive impact on your physical and mental health? 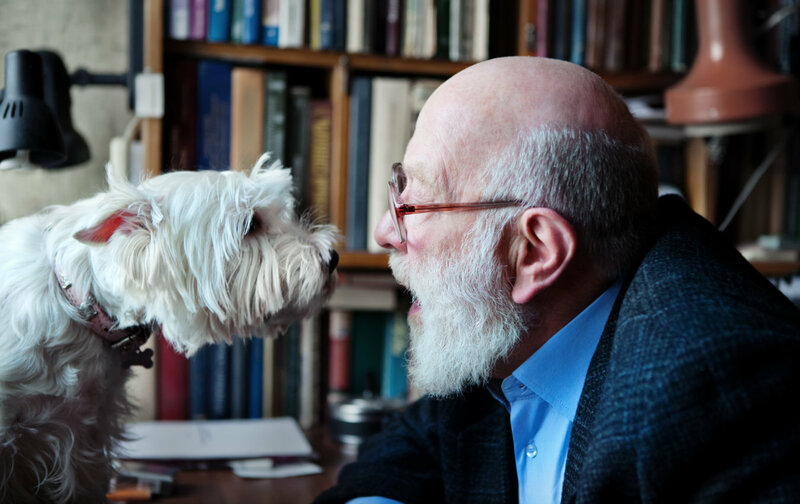 A number of research studies have demonstrated that many older adults who own or spend time with a pet – usually a dog or a cat – are in better physical and emotional health than those who don’t. Owning a dog is a great motivator to get seniors out and walking on a regular basis. Dog walking is associated with lower body mass index, fewer doctor visits, more frequent exercise, and can also help with cognition and promote longevity. In one study, researchers found that older adults who had a dog or cat were better able to perform activities of daily living such as the ability to climb stairs; bend, kneel or stoop; take medication; prepare meals; and, bathe and dress themselves. Dog walking has even been associated with lower complication risk for patients with cardiovascular disease. Other research indicates that the simple act of stroking a pet can help lower blood pressure and cholesterol. Seniors who are out walking their dogs in their community, at a park or elsewhere have the opportunity to interact with a variety of people – other pet owners, neighbours, animal lovers – which reduces social isolation and feelings of loneliness, especially for those who live alone. In addition to the affection and companionship pets provide, caring for their needs gives seniors a sense of purpose and provides structure to their day. Studies also show that having a pet can enhance a person’s overall happiness and well-being. Playing with a dog or cat can elevate levels of serotonin and dopamine – nerve transmitters that are known to have pleasurable and calming properties. Pets can also help reduce stress, anxiety and depression. Pet therapy, or animal-assisted therapy, is recognized by the U.S. National Institute of Mental Health as a legitimate way to treat depression and other mood disorders. Pet therapy has also been shown to have psychological benefits for elderly people with dementia. Research indicates that nursing home residents with dementia displayed significantly fewer signs of agitation and aggression during pet therapy and more social behaviors, such as smiling or speaking. Aquariums of brightly coloured fish have also been shown to promote relaxation, reduce agitation and improve eating habits. For people with Alzheimer’s being cared for at home, studies have shown that they have fewer anxious outbursts if there’s an animal in the house. Their caregivers also feel less burdened, particularly if the pet is a cat, which usually requires less care than a dog. Of course, having a pet is not right for everyone, but for many seniors, it may be worth considering for the physical, social and emotional benefits pet ownership can provide.